The IUF was shocked to learn of the passing of Neil Kearney, the General Secretary of the International Textile, Garment and Leather Workers’ Federation (ITGLWF). Neil suffered a massive heart attack in his sleep on November 19 in Dhaka, Bangladesh. The leaders of Iran's independent sugarworkers union are now in prison in the city of Dezful serving sentences for their trade union activity. The number of hungry people on the planet is now officially estimated to exceed one billion, and the price of basic foodstuffs is predicted to remain high, volatile and susceptible to shocks. This is the background against which the United Nations' World Summit on Food Security is now taking place in Rome November 16-18. As the battle for the financial spoils from a potential hostile takeover of UK-based Cadbury by Kraft Foods heats up, the IUF's UK affiliate Unite has called on Kraft to lay its plans on the table, and to offer clear guarantees on jobs and pensions. 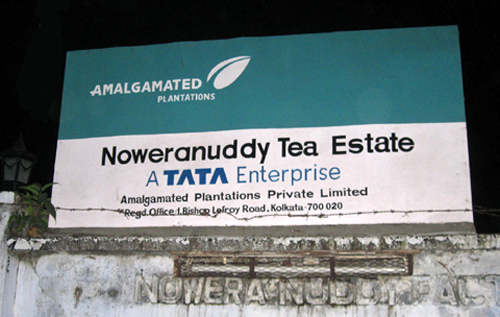 Tata, the transnational Indian conglomerate whose Tetley Group makes the world famous Tetley teas, has taken 6,500 people hostage through hunger. Click here to send a message to Tata/Tetley!